And here for the Four Lost Souls t-shirt! DELUXE LP ON "JUNGLE SWIRL" COLORED VINYL (LIMITED TO 500). ALSO INCLUDES A SPECIAL EDITION NEWSPRINT INSERT. All LPs includes digital download and printed sleeve with lyrics. While other people are arguing about statues and flags, the Four Lost Souls are living a different, more inclusive and more positive aspect of Southern Culture. His songs address working-class plights free of any corny sloganeering and are delivered to consistently inject a fighting spirit. Wearied as Langford is by the current world we find ourselves living in, he refuses to lay down his sense of righteousness. The Original Insurgent Country Punk With the Soul of a Poet Creates a Masterpiece. 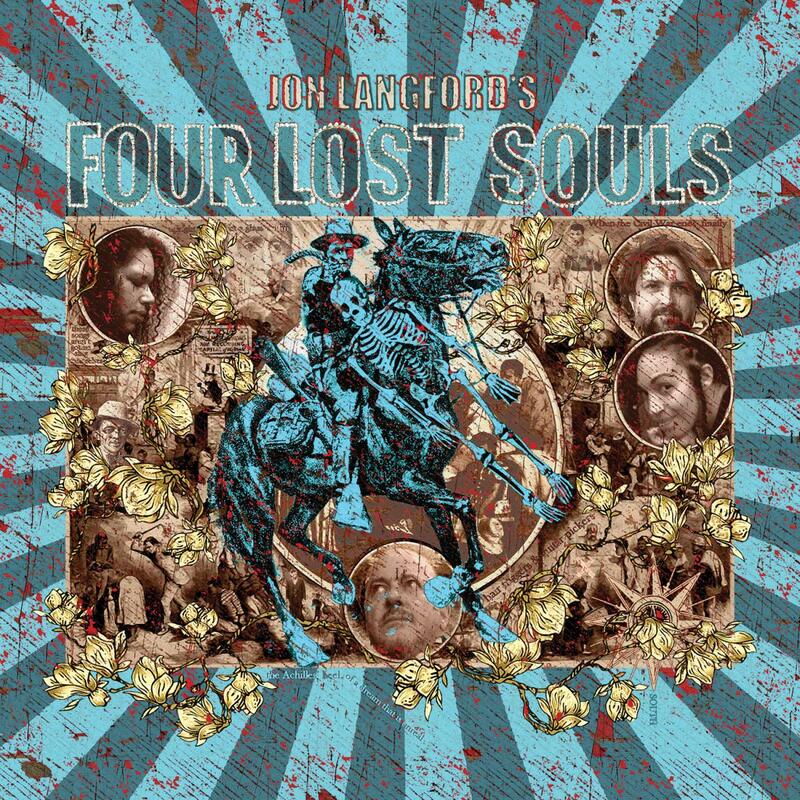 An accomplished piece of music, beautifully executed and written, giving his musicians a ton of room to stretch out and expose the soul of each song...Four Lost Souls is simply unlike anything else in Jon Langford's sprawling discography. Equal parts folk, country, R+B, and rock n’ roll, it serves as a celebration and timely reminder of true Southern culture and, more specifically, the artists and musical genres it has birthed, many of which laid the foundation for American pop music as we now know it. A combination of punk fervor and a feel for how country music describes darker aspects of American character.